In a large pot or a deep fryer, heat oil to 375 degrees. 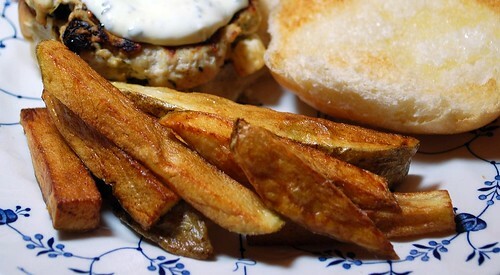 Meanwhile, slice your potatoes into long strips about and inch wide and 1/2 an inch thick, leaving the skins on. 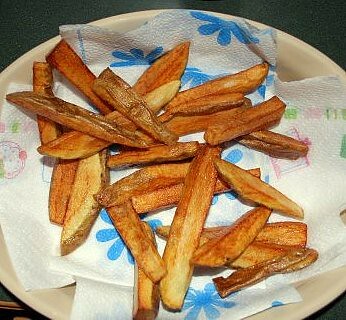 In batches of about 10-12 fries each, cook the fries in the oil until golden brown – about 5-7 minutes. Drain on paper towels and sprinkle generously with salt and pepper. Serve immediately with ketchup.